​ This is my Dam Abbie. Abbie is 5pnds and carries the parti gene. 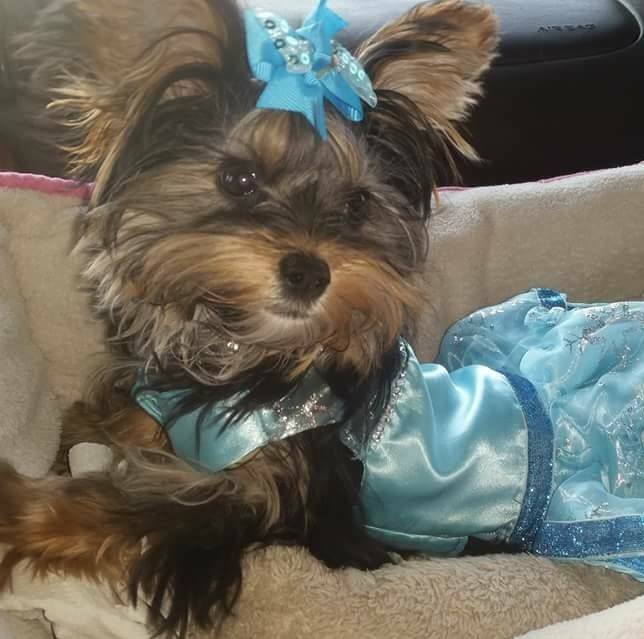 She comes from a long line of tiny yorkies. Abbie is my only Dam right now and she is my baby girl. She has changed my life so much since she entered it. She is a very good mommy to her babies. Here Abbie is wearing her Frozen dress I made her. She is my princess.